There’s something special about kicking your feet up uner the stars, in the bush or by the coast and appreciating Mother Nature. But comfort, or lackthereof, often turns people off ditching a cabin or beach house for a tent and the outdoors. That’s where Oztent’s RS1-S King Single Stretcher comes into play. It’s the idealoption for big sleepers and the only one on the market with a 200kg weight rating. Perfect for bigger individuals, the stretcher comes in at two metres long and over a metre wide. At over a metre wide and two metres long, it is also one of the largest. In fact, it is so large and strong that campers can attach the award-winning OZTENT RS-1 King Single Swag to it for a comfortable, covered and secure sleep 51cm off the ground. 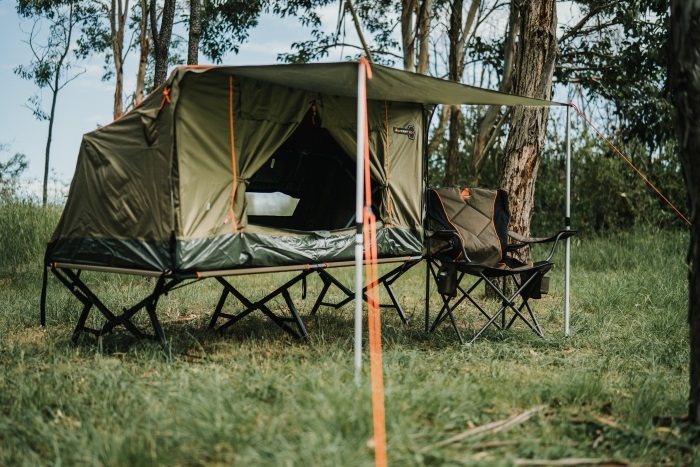 “At The Oztent Group, our love for the outdoors means that we are always striving to improve camping products – both ours and others – and stretchers are the low hanging fruit of the camping world.”, explains Isaac Viglione, Marketing Manager, The OZTENT Group. “During our development we have found that too many stretchers promise the world but under perform, so we simply looked at all the issues we found in other products and solved them. 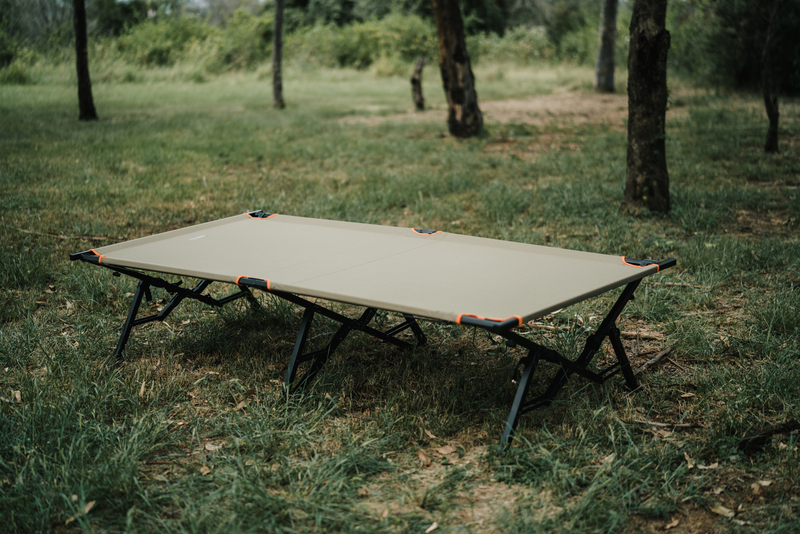 The new OZTENT RS1-S King Single Stretcher is made of 3000D Polycotton canvas over a steel frame yet packs tight and weighs only 14kg. With anti-sway stabiliser bars, its size, design and durability make it the perfect platform for any brand of swag a camper may have.